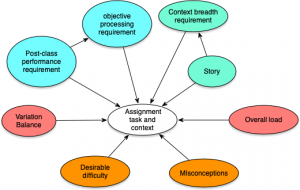 For sins in my past, I’ve been thinking about assessments a bit lately. And one of the biggest problems comes from trying to find solutions that are meaningful yet easy to implement. You can ask learners to develop meaningful artifacts, but getting them assessed at scale is problematic. Mostly, auto-marked stuff is used to do trivial knowledge checks. Can we do better. To be fair, there are more and more approaches (largely machine-learning powered), that can do a good job of assessing complex artifacts, e.g. writing. If you can create good examples, they can do a decent job of learning to evaluate how well a learner has approximated it. However, those tools aren’t ubiquitous. What is are the typical variations on multiple choice: drag and drop, image clicks, etc. The question is, can we use these to do good things? I want to say yes. But you have to be thinking in a different way than typical. You can’t be thinking about testing knowledge recognition. That’s not as useful a task as knowledge retrieval. You don’t want learners to just have to discriminate a term, you want them to use the knowledge to do something. How do we do that? 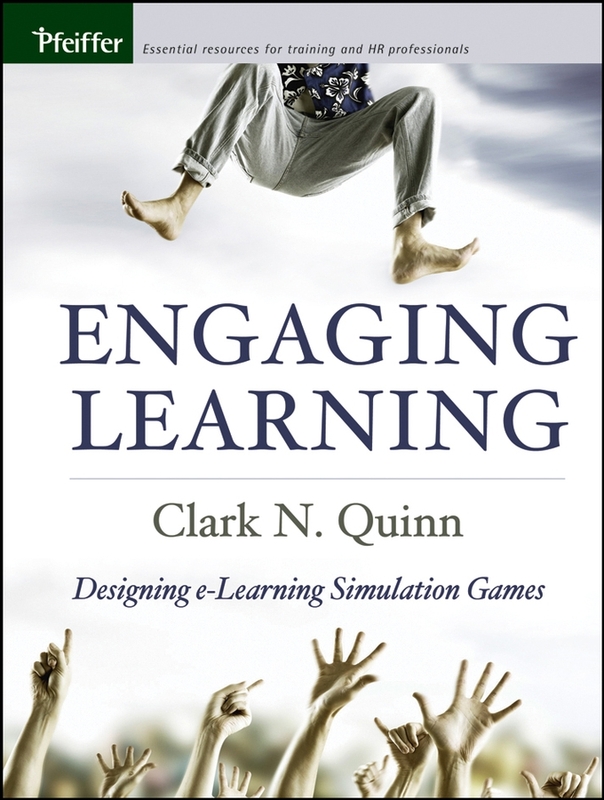 In Engaging Learning, amongst other things I talked about ‘mini-scenarios’. These include a story setting and a required decision, but they’re singular, e.g. they don’t get tied to subsequent decisions. And this is just a better form of multiple choice! So, for example, instead of asking whether an examination requires an initial screening, you might put the learner in the role of someone performing an examination, and have alternative choices of action like beginning the examination, conducting an initial screening, or reviewing case history. The point is that the learner is making choices like the ones they’ll be making in real practice! Note that the alternatives aren’t random; but instead represent ways in which learners reliably go wrong. You want to trap those mistakes in the learning situation, and address them before they matter! Thus, you’re not recognizing whether it’s right or not, you’re using that information to discriminate between actions that you’d take. It may be a slight revision, but it’s important. Further, you have the consequences of the choice play out: “your examination results were skewed because…and this caused X”. 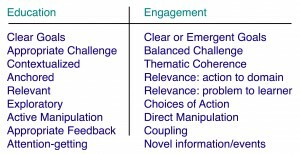 Then you can give the principled feedback (based upon the model). There are, also, the known obvious things to do. That is, don’t have any ‘none of the above’ or ‘all of the above’. Don’t make the alternatives obviously wrong. And, as Donald Clark summarizes, have two alternatives, not three. But the important thing, to me, is to have different choices based upon using the information to make decisions, not just recognizing the information amongst distractors. And capturing misconceptions. 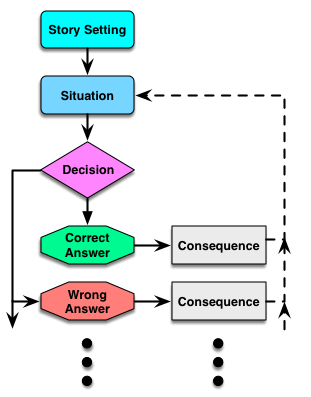 These can be linked into ‘linear’ scenarios (where the consequences make everything right so you can continue in a narratively coherent progression) or branching, where decisions take you to different new decisions dependent on your choice. Linear and branching scenarios are powerful learning. They’re just not always necessary or feasible. And I certainly would agree that we’d like to do better: link decisions and complex work products together into series of narratively contextualized settings, combining the important types of decisions that naturally occur (ala Schank’s Goal Based Scenarios and Story-Centered Curriculum and other similar approaches). And we’re getting tools that make this possible. But that requires some new thinking. This is an interim step that, if you get your mind around it, sets you up to start wanting more. 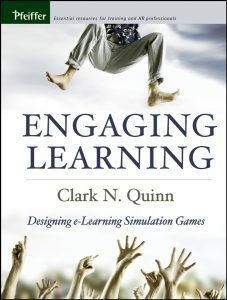 Note that the thinking here also covers a variety of interaction possibilities, again drag’n’drop, image links, etc. It’s a shift in thinking, but a valuable one. I encourage you to get your mind around it. Better practice, after all, is better learning. When I look at movies and other story-telling media (comics), the exaggeration usually is one level. You know, it’s like real life but some aspect is taken beyond what’s typical. So, more extreme events happen: the whacky neighbor is maniacal, or the money problems are potentially fatal, or the unlikely events on a trip are just more extreme. And this works; real life is mundane, but you go too far and it treads past the line of believability. So there’s a fine line there. However, in the learning situation, you’re just mimicking the real world. It’s hard to mimic the stress that comes from real life. So, I’m arguing, we should be bringing in the extra pressure through the story. Exaggerate! You’re not just helping a customer, you’re helping the foreign ambassador’s daughter, and international relations are at stake! Or the person you’re sweet on (or the father of said person) is watching! This is the chance to have fun and be creative! Now, you can’t exaggerate everything. You could add extraneous cognitive load in terms of processing if you make it too complex in the details. And you definitely don’t want to change the inherent decisions in the task and decrease the relevance of the learning. To me, it’s about increasing the meaning of the decisions, without affecting their nature. Which may require a bit of interpretation, but I think it’s manageable. At core, I don’t think I’m exaggerating when I say exaggeration is one of your tools to enhance engagement and effectiveness. 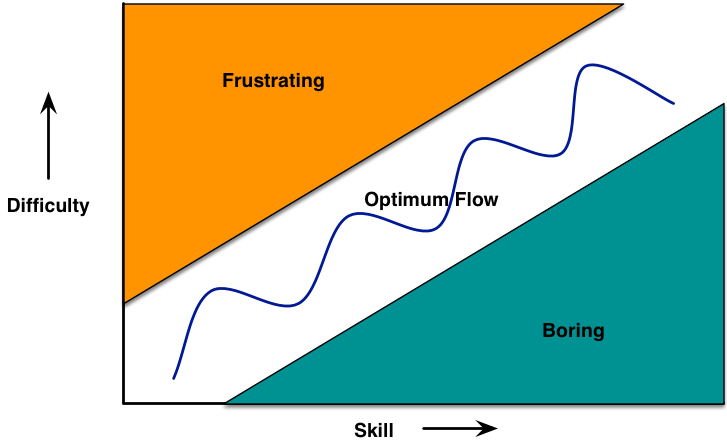 The closer we bring the learning situation to the performance situation, the higher the transfer. 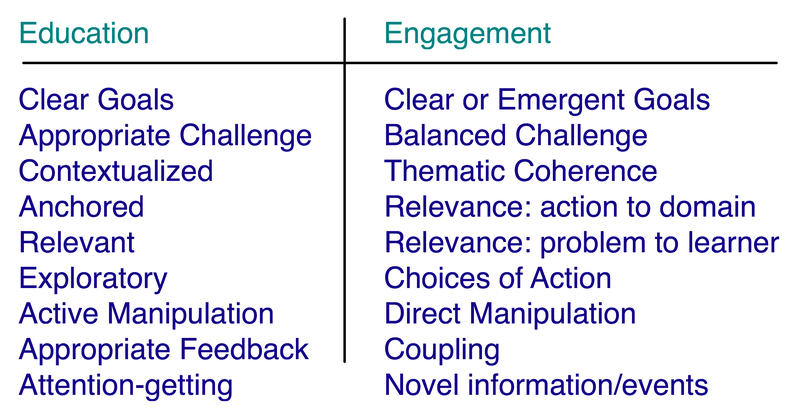 And if we increase the meaningfulness of the learning context to match the performance context, even if the details are more dissimilar, I think it’s an effective tradeoff. What do you think? No, not a diagram that’s an example, a diagram about examples! I created this because I needed a diagram to represent examples. I’ve written about them, and I have diagrams for other components of learning like models. However, I wanted to capture some important points about examples. So here we go. The idea here is that an example should be a story, with narrative flow. You start with a problem, and flow through the process to the outcome. One of the important elements along the way is showing the steps and the underlying thinking. Experts may be saying “you do this, then this” but what they’re not articulating is important to. It’s more like “I could’ve done this or this, but because of this…” and that needs to be heard. Even better if a mistake was made, caught, and remedied. Showing that, and how, you monitor performance as you go is important for learners to see. That’s not illustrated here, because it is optional. 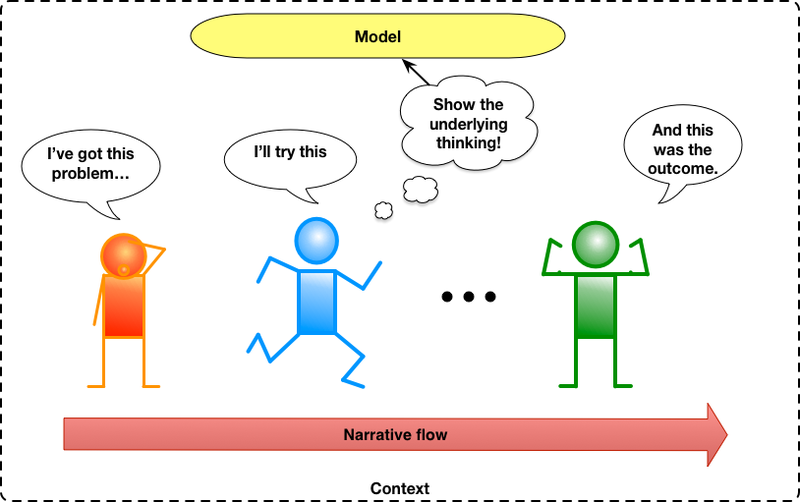 What is captured here is that there is (or should be) a conceptual model guiding your performance, and that should be explicitly referenced in the thinking. It should show how the model was instantiated because of the context, and how it led to the outcome. These, I argue, are important points about examples that are reflected in the work of Schoenfeld as captured in Cognitive Apprenticeship (by Collins & Brown). Making thinking visible is an important component of learning whether classroom or workplace. So, have I shown my thinking?